Bilbo first appeared as the protagonist of the Hobbit published on September 21st 1937. The author of the Hobbit, J.R.R. Tolkien, gave his secretary a poem sung by Bilbo before he leaves Middle Earth forever called Bilbo’s Last Song. A copy of the poem can be found if you click here. 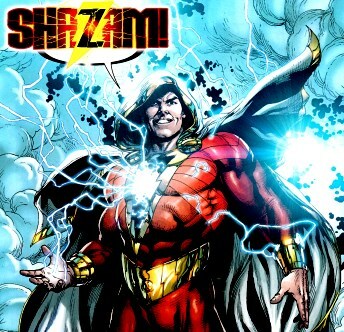 Shazam first appeared in Whiz Comics #2 in February 1940. 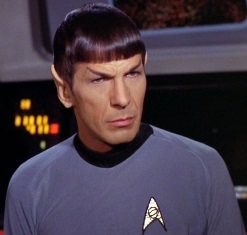 Mr. Spock first appeared in episode 1 of the original Star Trek series in 1966. The actor who played Mr. Spock, Leonard Nimoy, sang a song about our First Character of the Month entitled ‘The Ballad of Bilbo Baggins’ which can be viewed here. 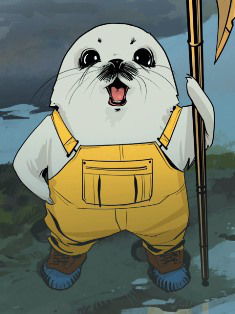 Ghüs first appeared in issue 12 of the ongoing comic book Saga by Brian K. Vaughan and Fiona Staples. Aside from possibly being the most adorable comic book character ever, Ghüs also has a psychic link with his pet walrus Friendo. 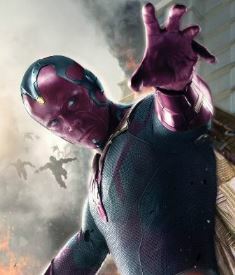 The Vision debuted in The Avengers Issue 57, published in October of 1968. The Vision fathered two children with the Scarlet Witch in the Marvel Comic Book Universe, although their fate was not a happy one. The Tyrannosaurs Rex roamed the earth up to 65 Million Years Ago . 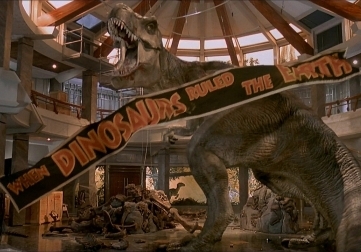 Early rumors for the upcoming film Jurassic World have the original Jurassic Park T-Rex reprising his role from the original. 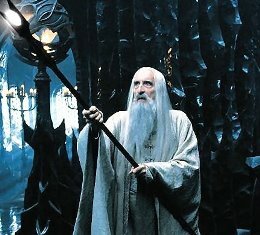 The late great Christopher Lee, who played Saruman, was the only member of the Lord of the Rings cast to have met Author J.R.R. Tolkien. 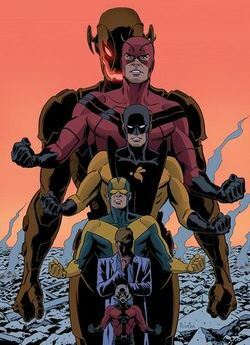 Henry Pym debuted in Tales to Astonish released in January of 1962. In the comic books Henry Pym, the original Ant Man, is responsible for the creation of the dreaded Avengers villain Ultron. He based the A.I. off his own brain. 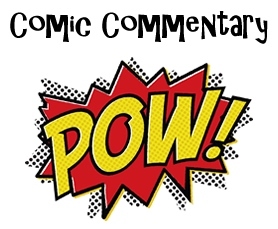 James Gordon first appeared in the first panel of Detective Comics #27 in May of 1939 alongside Batman. 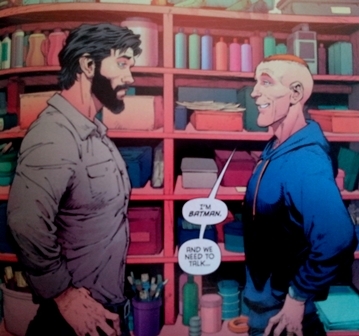 James Gordon is currently Batman, having assumed the identity after the original Batman’s apparent death. Gordon is also staring in the show Gotham, which returns this month. All things considered the character’s having a pretty good month. 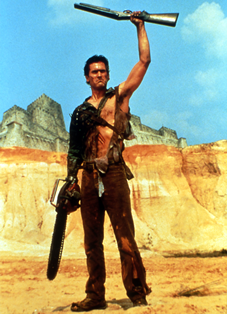 Ashley William’s first appeared in the Evil Dead released on October 15ht 1981. Joel Coen of the famed Coen Brothers got his start editing the Evil Dead. 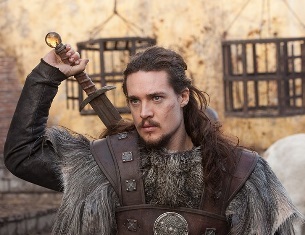 Uhtred first appeared in Bernard Cornwell’s the Last Kingdom, released in October 4th 2004. Although he is partially historically based on Uhtred the Bold who lived around 1006 A.D.
Game of Thrones author George R.R. Martin is quoted as enjoying Cornwell’s depictions of battle in the Last Kingdom. 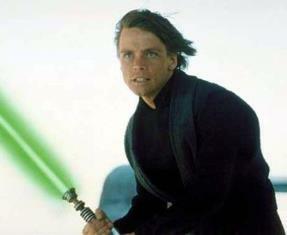 Luke Skywalker first appeared in Star Wars on May 25th 1977. 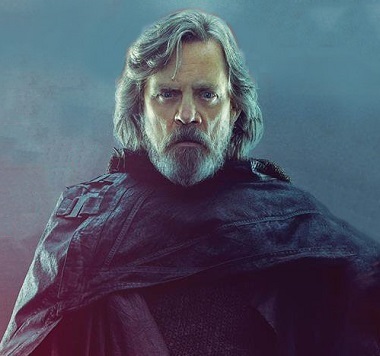 George Lucas initially intended to call Luke Skywalker, “Anakin Starkiller” but abandoned the name in favor of the one we know and love because it was less aligned…with the Dark Side.